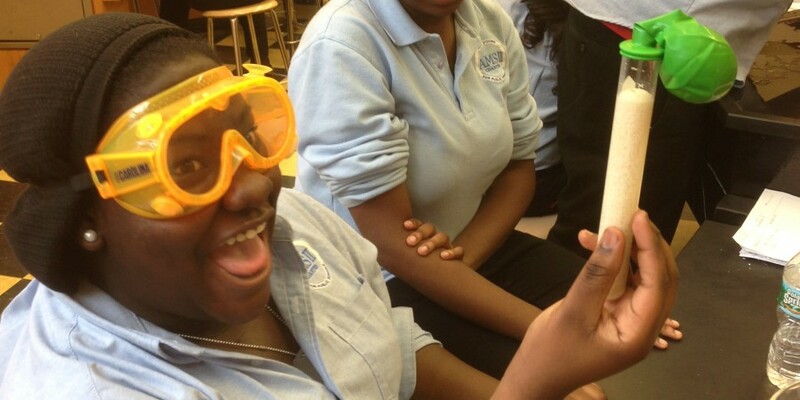 Posted on May 20, 2013	by Picture This Great Teaching	in High School, New Visions for Public Schools, Inc.	with Comments Off on Zach S.
In this lab students got to do real science, not just read about it. As the yeast grew and the balloon expanded the student shrieked, displaying an expressive face of surprise and amazement! Fun and learning shouldn’t be mutually exclusive.